I’m pretty much a fan of all holidays. Whether we’re talking Thanksgiving, the Fourth of July, Arbor Day, or National Cheeseburger Day, if it involves parties, gift-giving, good stuff to eat, or time off work, I’m all for it. As a lover of all things retro and vintage, I enjoy visiting old cemeteries just about any time of year. But there’s no denying that they are particularly atmospheric in October, especially on a crisp afternoon when the sun begins to drop. If you like a little history mixed with your atmosphere, I recommend a visit to the Arlington Cemetery, which is located immediately south of Downtown Arlington where Mary and Mitchell streets intersect. First established in 1899, the cemetery is home to a handful of early-Arlington burial grounds, including the original Old Cemetery of Arlington, the W.W. McNatt Cemetery Addition, the Masonic Cemetery, and the Old City Cemetery. A sizeable contingent of Arlington pioneers and settlers are buried there, as well as a host of former Arlington mayors and veterans of conflicts from the Civil War to World War II. Before you visit, read up on the cemetery’s rich history at the Arlington History website from the City of Arlington. Another fun October destination for history fans is Arlington Baptist University, located in far west Arlington along Division Street/Highway 80, also known as the historic Bankhead Highway. Before the school existed, the grounds were home to a popular tea room, Top O’ Hill Terrace, that was a front for a bustling gambling casino that drew its fair share of gangsters, celebrities, and other colorful figures in its heyday. Read more. One of my absolute favorite places in Arlington is River Legacy Park, a gorgeous 1,300-acre urban oasis situated along the banks of the Trinity River that’s a wonderful destination for walking, jogging, biking, wildlife-watching, picnicking, or kayaking—and ghost hunting. According to legend, there’s a trail somewhere in the park, a location known as “Hell’s Gate,” that once led to a place of execution for captured Union soldiers whose Civil War-era spirits are believed to linger today. Even if you don’t find it, River Legacy’s extensive trail system, which leads you deep into quiet spots in wooded areas that have existed for centuries, is an excellent choice for a haunted hike. One of my favorite October activities is getting together with spooky-minded friends for a little ghost story swapping, especially if it’s outdoors in the late afternoon or evening—and especially if grill-fired burgers, hot dogs, and apple cider are involved. Arlington has more than 90 parks to choose from when planning a Halloween-themed picnic (notably River Legacy, Veterans Park, the Southwest Nature Preserve, and Randol Mill Park), many of which are equipped with picnic tables and grills. Admission is free, as are the crunching leaves, chirping crickets, and other sights and sounds of fall that will soundtrack your ghostly gathering. If you’re a real-deal Halloween superfan, you know that there are actually two days to celebrate this spookiest of holidays: Oct. 31, and what I’ve dubbed “Pre-Halloween,” also known as the Saturday before Halloween itself. A number of my favorite Arlington watering holes—including Hooligan’s Pub, J.R. Bentley’s, Legal Draft and any of the Division Street dive bars (Stumpy’s, Caves, Milo’s, etc. )—offer plenty of ways to have a scary good time on Pre-Halloween, hosting parties that feature live music, costume contests, creepy cocktails, and lots of prime people watching. Terror at Texas Live! The newest entry to the Arlington Halloween scene is the haunted bash at Texas Live, which features a DJ, lots of libations, and a cash-prize costume contest for people who are serious about costume contests. For grown-up ghouls only. Find out more or purchase tickets. Fright Fest at Six Flags Over Texas: What’s scarier than an abandoned amusement park? An amusement park filled with ghouls and gremlins who lurk around corners, sneak up and steal your funnel cake, or pop up next to you on a haunted roller coaster ride. Be afraid, be very afraid – and get your tickets here. (Note that this Arlington Halloween tradition is not recommended for younger goblins after the sun goes down). 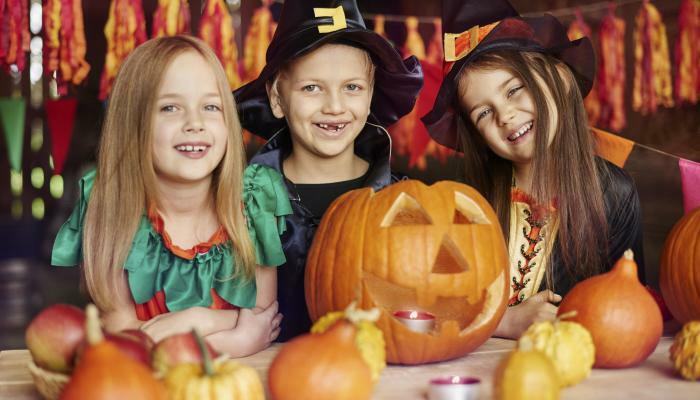 Rec Center Revelry: You can always count on the goblins at the Arlington Parks & Recreation Department to stir up a cauldron of family-friendly fun each October. Visit the organization’s Facebook event page to find out what’s brewing this year.